Water is the basic need for every living being on this earth, an essential element that plays vital part in the continuation of vegetation and life and so without it nothing residing within this plant would be able to survive. Although humans are every well aware of the important role played by this very liquid in the life of living, still no one, not even their conscious can stop them from polluting it. Over the years, thanks to the establishments and construction of factories near water channels, more than half of the world’s population has been deprived of their right to clean, drinking water. Why is this so? This is because people who employed in these factories to earn a decent living are also forced to settle down in such area while watching these big building dumping their chemical waste in rivers, ponds and other water channels. This has not only led to a decline in the growth of underwater creatures but also affected the health of those around. 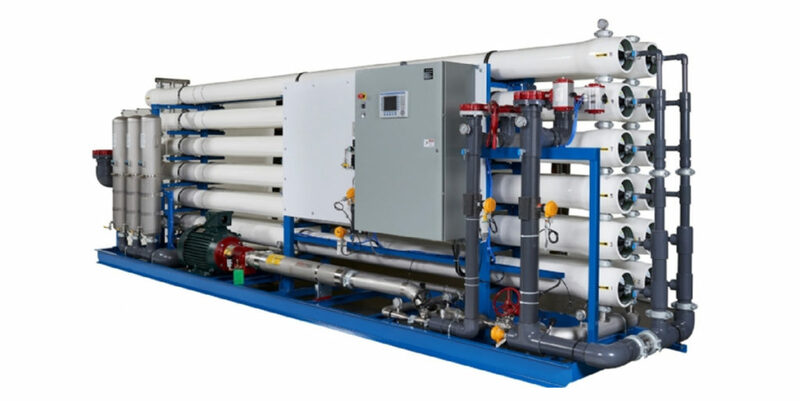 So taking up the responsibility of providing people with unpolluted and fresh water supply, companies like Water World have come forward with RO water plant that helps in making it all possible. Thanks to the fast paced advancement in the fields of science and technology, companies like Water World are now using (Reverse Osmosis) RO water plant to purify water and supplying it to the majority out there. Our company is not only known for installing RO water plant for industrial use, put over the past due to increased demand of filtered water around, Water World has now introduced plants for commercial use as well. Reverse osmosis is a process that is used to disinfect and purify water from all sorts of contamination. The procedure consists of many steps where at each stage water goes through filtration membranes at different pressure, purifying it from bacteria, harmful substances, contamination and sediments. At the end of the process, all you get is supply of hygienic, safe and highly clean water which is safe for consumption. Water that is clean from contamination is not just good for health but is also great for other purposes. On domestic level, you can easily use it for cooking, bathing and washing purposes without any fear of your house falling sick while at industrial level, clean water supply plays an important part in keeping your machines healthy. Liquid if contaminated and used for various industrial purposes can cause damage to your expensive machines over time by causing erosion of metal but once you gain access to unpolluted and decontaminated water, one can enhance the life of their machines which not only leads to improved performance but surely more profits as well. So if you wish to get RO water plant installed in your vicinity, simply log on to waterworldpk.com and enjoy the best services at affordable rates, promising a healthier and safer future for you and your household.